The calamities at this point in time was at it's peak. Those within the three eye'd tribe were actively being forced into internment camps. Though the order came from the World Government only the Marines were assigned with the task of moving them to their new homes. Those assigned with keeping the peace and upholding Justice now were impressing those that had done no wrong. They were the scapegoat. Though it tore up the community of the three eye tribe it brought the other races together. Hate and fear knitting everyone together. This is what Hannibal witnessed and experienced. But unlike his brethren that had to endure this he hid in the best place possible. Within the ranks of the villains. As up to this point he hadn't revealed his race at all. Not because he didn't love him but it was part of a long form of training he was given. Mold his other attributes instead of just relying on his Third Eye. As back in the day at his home he always had it open; and at times even had close his other two as he felt they were inferior. And he had already reached the point in his training that he could keep it open freely. Until the world changed. It forced him to only use it when he knew he was alone. This caused him extreme pain. Many from his tribe, specifically, had kept their third eye shut for ten years. But a second beyond that for some strange reason gave some harmful effects. It was strange and many didn't understand it. Hannibal however had a guess. Since they did this training to strength it keeping it closed any longer pushed the limits of the training. "Achoo!" His sneeze echoed through the cold room he sat in. A tissue was place to make sure his germs were trapped within it's material. Drum was the coldest place he had ever been to. It was nothing like the place he grew up. Warmth being in abundance and the worse being strong winds. He'd begin to clear his nose into the tissue as he began to stand up. Holding the tissue with one hand and pushing up with his other to achieve this goal. The first thing he'd do is walk over to the trash can within the room and drop the tissue into it. He'd then head to the bathroom and follow through with his normal morning routine. Relieve self, Wash hands, Brush Teeth, Wash Face, comb hair. If he wanted to take a shower using the dials used in this place he'd toss that into the routine after he relieved himself. "The cold....is not for me...." Hannibal would mumble to himself as he stuffed both his nostrils with piece of tissue. He needed to stop the leaking. As he spoke he would be putting his Marine uniform on. At this time he was a Lieutenant Junior Grade. He was moving up within the ranks within the Marines despite the moral conflict within him. He despised everything that was going on concerning his Race. As he reached his door he would sit down. There being somewhat of a step right before the door's entrance. There he had boats and another set of footwear. That footwear being skates. He'd tie the shoe strings of the boots together and sling them over his shoulders as he would put on the skates. The area he was in was a strange one. To get to actually legitimate solid ground, and not ice, you had to skate over some rink. He kinda understood the purpose of it but it took him a solid month to actually be able to skate to a level he wouldn't be laughed at. After his skates were on he stand up and begin to slowly walk over to the door. Before he'd leave out he'd grab the rifle that rested near the door. Today wasn't really a day he was looking forward to. On Drum those that belonged to his clan were placed in a camp a ways from Gyasta. The unrest for their living conditions had reached it's peak. And the Marines were assigned to make sure things didn't get too out of hand. Everyone was advised to to bring their rifle or pistol. 'How am I supposed to even fire this? I didn't wear gloves...I wore mittens. What am I think....I will be damned if I use this.' Hannibal would mumble to himself as he began to gracefully glide across the ice. It took him around five minutes to get to the other side. There was home that was turned into a storage room for the Marines. This is where he would change into his boots. Instead of doing so outside and making himself even sicker. He'd also change his coat. Finding the thickest one that he could. He debated on putting on a face mask, but went against it. Twenty minutes of trekking through the snow he'd make it to the camp. It was strange that he was the only Marine walking from the town here; but he realized why he was the only one that came at the time he did. Everyone already had arrived. From his distance a lot of them seemed like specks in the distance. Some of their attire blending into the background and only the color of the fur giving them away. Something else gave them away. And that was red dots which Hannibal could only assume was blood in the snow. What he thought they wanted to avoid had already happened. He'd begin to rush toward them there. He cared for both groups involved if that made sense. The Marines because since he joined he has been with this battalion. And obvious reasons for his race that already has been mistreated. From the hill that he was on, he was able to see over the tree line with his impressive eyesight. However, once he began to run down the hill knowing what was to come wouldn't be in his ability. And once he heard the sound of a rifle being discharged he'd stop and rush behind one of the trees he was running around. His instincts are what caused him to do this and nothing else. The sound of more being discharged quickly filled the area. Animals within the area retreating in different directions from it. Confusion was running ramped within Hannibal's mind at this moment. He could only assume the reason someone would be firing their weapon. With them drawing closer the sound of yelling could be heard. Some being from Marines and the others being whomever they were chasing. He pondered how he should reveal himself and get involved in what was going on. 'Okay, get ready. They are right THERE.' Upon his thoughts concluding he would move out. Quickly, and without wasting any movement. He would call out instantly upon catching someone that was running. He didn't touch them but he was now within their path. It was as if his word and the pain came in unison. The shock caused the sound of the weapon discharging to just lay within the background. A loud ringing being within the ears of Hannibal. He felt weak almost instantly and he couldn't hold back his third eye. The shock causing all three to be wide in surprise. Soon those wide eyes of his would be filled with tears. Slowly he'd move his right hand over the area that was bleeding profusely. His attire and the snow below him soaked with a crimson red. He felt he was going to die. 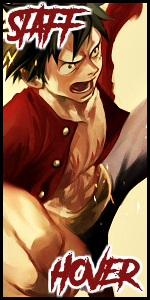 "....Ow...ow....ow...." the pain was immense and his knees soon gave out. The world was slowly going dark. The thoughts of everything he had done within his life had been going through his mind. Things he did. Things he wanted to do. The things he didn't do. Were the prominent thoughts. Hannibal would fall to his side and his eyes would close. He felt he was going to die, and had accepted it. He wasn't someone with the strongest of wills. He had met his end at the hands of someone he didn't even recognize. "Hann." The voice was of Hannibal's Elder Brother. Someone who had passed shortly after the persecution of their Race. The news of his death had traveled far and wide due to how many he had killed. He was painted as a Monster to justify the murder. But, Hannibal knew his Brother. He knew that his Brother was someone that only killed to protect those that needed it. Hannibal was laying down in front of a massive bonfire. He wasn't the only one around but he was the only one sitting down watching the flames. Everyone else was dancing. "Are done?" Hannibal's Brother would say as he would stop dancing and sit next to his brother. "Hann. Come on now, wake up." "I'm not asleep.....I....wait. How are you even talking to me? You died." Hannibal was confused. He was awake just like everyone else. But, then it hit him. His Brother had died. And looking at his body was hard. As he was just like they had him in the picture of the News coo. His third eye removed and other wounds over his body. "EH!?! I died!?! OOOOOOHHH. Yeah, I did. And you are close to dying if you don't wake up." "Who doesn't have questions when they are between the worlds. But are the answers, if I have any, worth not living the rest of your life?" "If you stop talking I can ask the question." Hannibal wouldn't comment on the in-between world's comment. "Then ask. But only one question then you have to wake up." "Okay, okay. Why do they hate?" "Damn, deep. Deeeeeep. Hann, I-"
His eyes would open. No longer was he cold, he was actually hot. He'd move his hands around and feel that he was laying on a bed. Turning on top and up he would feel that he had at least two blankets ontop of him. Thinking about his dream he wondered why he had it. And why he would ask his Brother a question. As his Brother never was someone that liked to give answers no matter the question. "...." Hannibal couldn't muster any words after his attempt to move. The pain started within his gut but moved to his entire body. Causing him to stay stationary and winch in pain. "Yeah, heh. Don't move. " "Who are you? Did you shoot me? Where am I?" "Well, I am Amada. I did not shoot you....but, Brother did. And are in our hideout? Yeah, hideout. Any other questions?" "..." Hannibal would stop and think and then begin to smell. The aroma from whatever was being cooked began to fill his nostrils. It as heavenly. Something that reminded him of his Home. "Can I have some of what you are eating." "Of course! I've made enough for all five of us." "Five?" Hannibal couldn't hear or see anyone else within the room of them. He was able to move his head a bit to take in the room they were within. "Yeah, my siblings. They are probably doing other stuff. They only let me cook. Cook, Sew,...... " She would continue to ramble on about the tasks that they told her she had to do. It was mostly housework. Hannibal listened for a bit but wouldn't let this distract him. One of her siblings shot him. Yeah, they saved him but they could've killed him. They could've killed someone else if they were within Hannibal's place. He would get up and begin to question her and threaten to even arrest her. But, he was hurt and doing anything like that wouldn't be possible. He had to just regain his energy and wait it out. Hannibal would close his eyes. Exhausted and unwilling to fight against resting. He understands his current predicament, as it could've been worse. Since it wasn't he had no reason not to rest. His dream, however, wouldn't go back to the in-between, rather it was void. The area he was within was all black and nothing was around. He knew he was there but as he walked he kept his eyes forward. Soon he would be awoken. After he would open his eyes he'd begin to blush. Amada would be leaning too forward and the young Hannibal was seeing cleavage. It was something he had seen before. But, being so close was something he never expected to happen on drum. His lust began to pour into areas of his body as she seemed to be moving closer and closer. What he didn't know or wasn't paying attention to was that she was trying to prop him up with his pillows. Something within him began to move his right hand. Slowly it began to slide up his own body before it would be mere inches away from her chest. 'Grab it.' was the thought he had. As he motioned closer and closer a small amount of blood began to leak from his left nostril. He hadn't touched a Girl before and today he would. It was as if the world had frozen all around him once he touched her breast. The lewd face he was making made his creepy action even creepier. His perverted nature had now awakened. Just touching them didn't suffice anymore and he would be brought back into reality as he began to squeeze. His actions only last around twenty seconds before a firm hand would be placed against his cheek. Shocked he would pull his hand away and look her in the eyes. "IS THAT ALL YOU HAVE TO SAY!!?!" Slowly he would use the spoon to feed himself. The soup he slurped down was delicious, and eating it with someone would be nice. That wouldn't happen since Amada would be sitting on the other side of the room now. She slapped him again when all he said was 'sorry' when he groped her. He knew he deserved this so he didn't think anything really of her not sitting near him. Thinking about it she was propping him up and would've probably been feeding him right now. He'd sigh, "Look don't touch." He would whisper to himself as he had missed out on a show. He could've gazed upon her breast longer instead of touching them for that brief amount of time. But, thinking about that made him think about the feeling that was within his hand just a moment ago. He'd put his spoon in his bowl and look at his open hand. Though he began to squeeze the air he imaged the place this hand once was. His lewd expression once again grazed his face and his thoughts began to go rapidly. Her voice would shock him and he jumped. His soup spilling into his lower region. In pain, he would begin to pat the burning area frantically. Amada would come over shaking her head at the incident. "That is what you get." She said as she would grab the bowl and spoon that was on the floor. After putting it away she would come back with a change of clothing. As he would need to change. "What are you doing? You have to take a bath first, come on. Pervert."